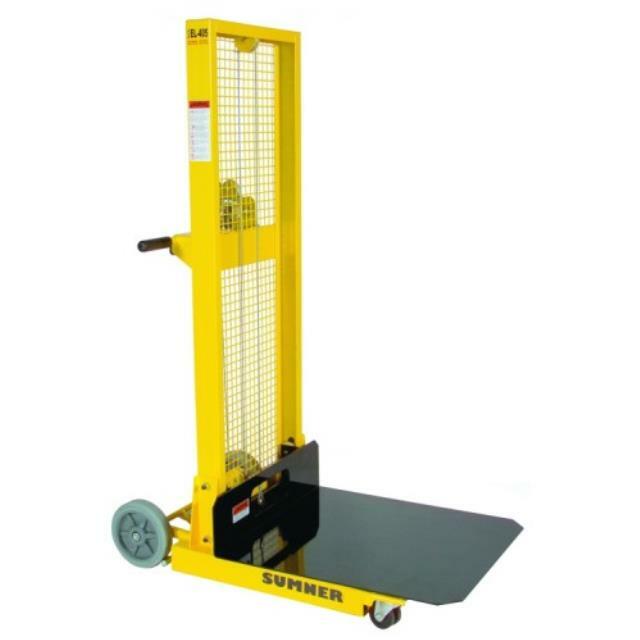 The small cargo material lift is ideal for situations where the load is 400 pounds or less. The compact design makes it easy to transport and use. It features a large 24" x 28" loading tray. Click here for the Sumner EL405 operator's manual. Lifting tray size: 24" X 28"